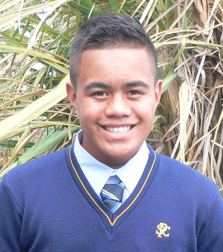 Joshua Iosefo is a prefect at Mt Roskill Grammar. 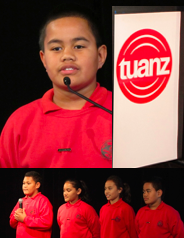 All of the prefect’s at the school had to prepare a speech to share. Rishard (Joshua’s friend) filmed his poem and uploaded it onto Youtube. Campbell Live came across Joshua’s poem and asked him to come to the studio and to interview him. The name of his poem is called “Brown Brother”. 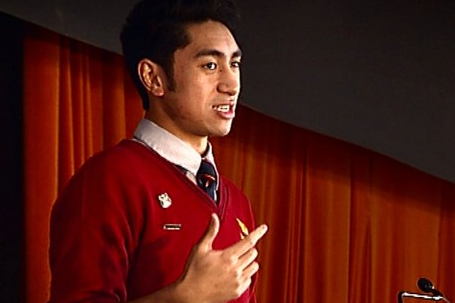 He talks about stereotypes and his poem is very inspirational. It talks about how people shouldn't listen to stereotypes. Stereotypes are people's ideas of how things should be done but it is not always right. This poem that he shared may have been emotional for some people and inspiring for others. The way he presented his speech was very effective because it was almost like he was rapping but not rapping, preaching but not preaching and speaks a lot of truth about today's society . He talked about a lot of issues that people could relate to and wouldn't like to talk about. You can become anything you want if you just trust God and yourself. You're right Darius it is a very inspirational poem and thought-provoking too. I don't think that he was talking about his life though. All the examples he was giving were stereotypes that other people sometimes think. He was talking about them to emphasise what the steroetypes are so then his message was not to limit yourself by what others expect of you, because those expectations (stereotypes) are wrong. Thank you Darius - food for thought. Great post Darius! I think that 'Brown Brother' is an awesome poem. I liked your interpretation of the poem and how you say it is like he is 'rapping but not rapping, preaching but not preaching'. The stereotypes are sad, but they are made to be broken, and I am sure that both you and the poet represent the new generation of 'brown brothers' who are going to break all of those stereotypes. Well done you! Thanks Darius for pointing me in the direction of such a masterful poet. You are right Darius, Joshua is truly a remarkable young man with a message of hope and inspiration for all our wonderful young people who doubt their real potential in life. I look forward to reading more on your blog about people who inspire you!